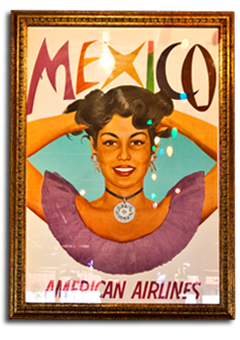 Reservations are available for parties of 10 or more. Please see our Frequently Asked Questions below. Does Superior Grill accept reservations? We only accept reservations for parties of 10 or more. Call the restaurant at 225.927.2022 and we will be happy to discuss options. Be sure to have the date, time, and number of people handy when you call! Does Superior Grill accept charitable donation requests? Community involvement is very important to Superior Grill. Our charitable donations focus on local charities and organizations. Download our Charitable Donation Request Form for criteria and application information. Donation requests must be made in writing at least one month in advance. Does Superior Grill offer catering? We offer catering and can do large to-go orders. Take a look at our party menu and call us to discuss options. Does Superior Grill offer delivery? We offer a delivery service for our catering orders only. If an order is to be delivered, a delivery/set up fee will be charged, depending on distance and location. We may need 24 hours to ensure delivery. Ask for you options when placing your order. Can I get the recipe for my favorite dish? All of our recipes are TOP SECRET!! When you get a craving for that favorite dish, come see us, we would love to have you at the restaurant! Or you could always order your favorite item to-go. Just remember – because we make our food fresh daily it has a limited shelf life! Can I get the nutritional information on a dish? We do understand that nutritional information is important for many reasons. At this time, though, we do not have the information available. What vegetarian options does Superior Grill offer? Our vegetarian items include chips, salsa, tortillas, rice and beans, ranchero sauce, guacamole, nachos, quesadillas, bean and cheese burrito, house salad, cheese chile rellenos, veggie enchiladas, veggie fajitas, bean tacos, and mushroom quesadillas. 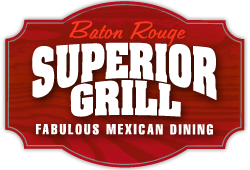 Does Superior Grill offer any gluten free foods? Although we offer items that do not contain gluten, all of our items are prepared on surfaces where there might be traces or gluten. Therefore we do not feel comfortable saying that we offer gluten free menu items. Does Superior Grill ship their food? For now you’ll have to visit your closest Superior Grill to get your fix. Shipping any of our dishes can be tricky, especially since we’re so picky about fresh, tasty, and safe food. Happy hour day(s)/time(s) may change. Please call to confirm. *Happy hour day(s)/time(s) may change. Please call to confirm.